The hollowing out of the Lib Dem party? There was something rather desolate about Vince Cable’s announcement on 7 September. Yes, politics undergoes change and a level of fluidity that should never render it possible to be frozen. Political parties have to adapt accordingly. Given all this I am still, almost a week on, struggling to find the big picture of wisdom in Vince’s announcement. I fear that Vince is preparing party members for a hollowing out period that will now follow. The only analogy I can draw for my assertion is a stuffed marrow. The flesh, Lib Dem party, is being scooped out to be filled in with so-called ‘moderates’ from the Labour and Tory party. Together, a band of merry moderates will be created within the space of where the Lib Dem party currently operates. I don’t think that current Lib Dem members will be displaced. It will be a case of having new structures forced upon us. The idea of opening up the party to others is a good one in itself. That is what the concept of ‘membership’ is all about. The Lib Dems have always been great at welcoming new and returning members. The collective hospitality of the party is second to none. Radicalising the means of joining a political party isn’t radical. It’s a method that is widely used by political movements such as Diem25, Avaaz and numerous others. Political movements are reactionary and spontaneously formed. They attract members who are drawn by specific campaigning messages. It works well but these are political movements which campaign either around single issues or around an overarching message like ‘reforming Europe’, in Diem25’s case. A political party will, inevitably, have to play the political game by positioning itself in such a way so as to attract voters. It is never at liberty to pick and choose what it campaigns on. 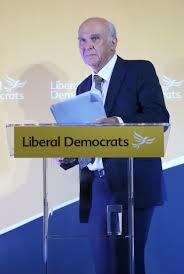 The Lib Dem party is a political one which fields candidates in elections on manifesto pledges. There is no centrality of an idea. One could argue that Liberalism is the core concept but when you consider that Liberalism has been hijacked by the right i.e the Tory party then where does that leave the Lib Dems? In many ways modern politics has rendered Liberalism to be an abstract concept. There is no universal application of Liberalism. While it broadly stands for equality, fairness etc, a Liberal like me would argue to the death that Liberalism does not encompass austerity politics. Ed Davey, Lib Dem MP for Kingston and Surbiton, has conflated the idea of trust with reform of the party’s membership. No matter which angle I dissect this statement from it simply seems to lack logic. The idea of trust in Liberalism stems from the ‘Social Contract‘ and is about citizens and governments. None of what is happening to the Lib Dem party makes sense to me. Instead of addressing the issue of why the party’s popularity is languishing despite having a healthy membership base, the structures are being tinkered with. All this leads me to conclude that the party is being prepared for ‘others’, hence the leadership’s constant references to new members and new ideas. Who are these ‘others’? Are Vince and his fellow MP’s that wedded to the New Labour cohort under the term ‘centrist’ that the Lib Dem party is being hollowed out for them to move in to? Time will tell.